Question: Governments around the world are laying down the pieces for bail-in plans. A lot of our audience is worried that their precious metals will be taken away from them, even if they’re stored outside of the banking system. Do you think physical gold and silver are protected from confiscation if they’re held outside the banking system and stored at a respected facility, like Brink’s? 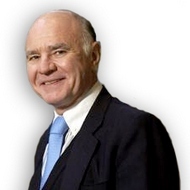 Marc Faber : Yes, that’s a good question. I wonder what will happen one day. Let’s take the worst-case scenario. We have either a social unrest, a revolution, or war. Governments decide, “Oh, the price of gold is going up substantially, let’s take it away from people.” In other words, you expropriate it. I think it will, at that stage, not matter very much where you hold your gold, except it may matter where you hold your gold in terms of sovereign state. My sense is that the Asian countries are less likely to take the gold away than Western countries.